We deliver comprehensive, statistically rigorous results, fast. *IGV developed and maintained by the Broad Institute. 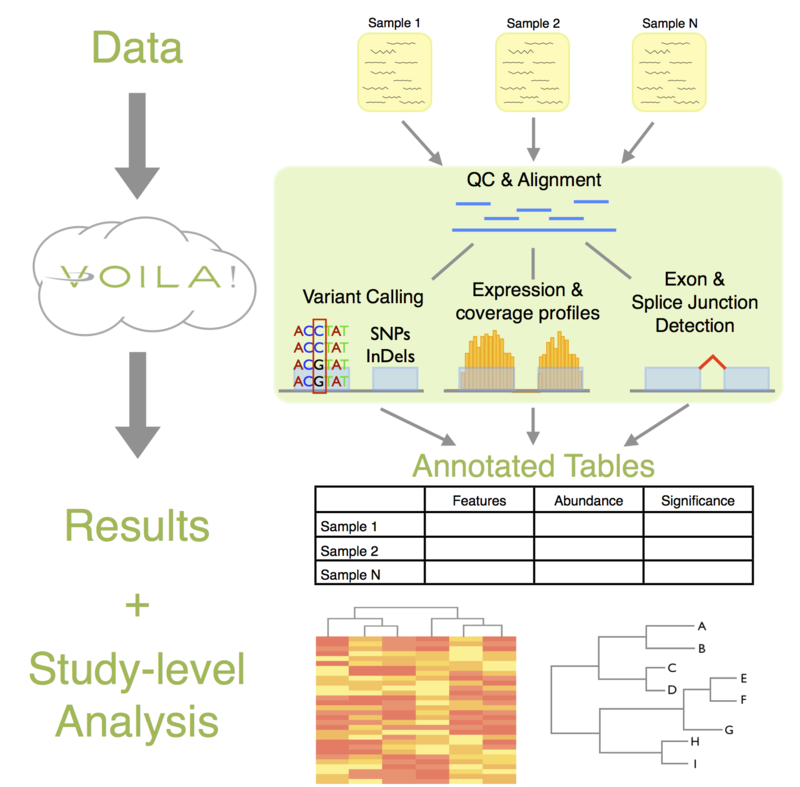 Our standard RNA-Seq analysis package includes alignment to a human, mouse or rat reference genome, quantification of expression, exon and splice junction detection, variant calling and differential expression analysis. Please review the study design document and check list before you start your project. Once you've logged in, QC your data with our easy to use QC tool. Please see Requirements for passing quality control. Our QC tool will determine whether your data are acceptable for analysis. For other genomes, please contact us directly. *Up to 100 million single reads or 50 million paired reads. Contact us for pricing on larger projects. Raw data and results will be stored for 90 days from the completion of your project, after which you will have the option to purchase additional storage. Note that all raw data will be automatically deleted after 90 days and extended storage for results files may be purchased. For more information on extended storage pricing please visit our webstore. Copyright © 2012 Prognosys Biosciences. All rights reserved.